CBT, as the name suggests ‘Compulsory Basic Training’ is training and not a test, so based on that theory, you cannot fail a CBT course. So why are so many worried about failing a CBT if it’s not a test? Usually completed within a day, most will argue that a pass will result in being handed a certificate allowing you to ride independently as a learner rider. In contrast, a fail would result in the rider not being given a completion certificate and having to come back for further training. 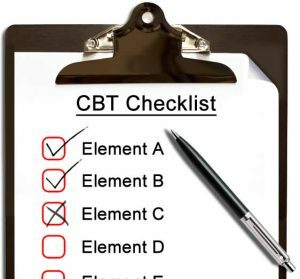 Based on that, whether it is or isn’t a test and if it’s possible to fail or pass is perhaps a matter of opinion, but the main thing is to ensure you walk (or ride) away with a CBT completion certificate. With that in mind, let’s take a look at the main reasons why people fail a CBT. Can you fail a CBT? Let’s look at the common reasons candidates fail to complete the course. Make sure you prepare any paperwork requested by the course providers the night before. This includes your driving licence. The last thing you want is to be hunting for these on the morning of your training (see arriving late). Worse still, forgetting your licence which would result in you being unable to take the course. Leave with plenty of time to arrive before the time specified on your booking confirmation. A good deal of information is given out to CBT candidates right at the start. Late arrivals are likely to be turned away. If you fail the eyesight test, you’ll be unable to proceed with the CBT course. Those are potential reasons why the course may not even take place. Now let’s look at common reasons where candidates commonly fail during the course. CBT Element B will introduce you to motorcycle controls. If you’re riding a manual, you’ll have clutch and gears to deal with. Some riders get to grips with the controls with ease, whilst others find all the various switches and levers overwhelming. Read up and familiarise yourself on where all the controls are, what they do and how to use them. Also gain a little theory knowledge on clutch control and how to move off and stop. A little basic knowledge goes a long way in preparation for the off-road riding section. Rather than concentrating on where all the controls are, you can concentrate more on how to use them. If during element C (off-road riding), you demonstrate a lack of knowledge on controls, it’s unlikely you’ll progress to CBT Element E, the on-road section. Balance is a fundamental skill to any motorcycle rider. You’ll be expected to demonstrate balance, particularly at slow speed which is where it’s the most challenging. If you regularly ride a bicycle, then this shouldn’t be a problem (unless you keep falling off). If not, borrow a push bike off someone and practice riding it at slow speeds in a straight line and whilst going round obstacles. CBT Element C will be your introduction to riding the motorcycle, off-road and in the confines of the training establishment. This is where you’ll need to demonstrate balance. If you can’t demonstrate safe balance during this element, it’s unlikely you’ll make it to element E, the on-road phase. Indicators, either failing to apply them appropriately or failing to cancel them is another common reason to fail CBT. You’ll be using your indicators during the off-road section in preparation for the on-road section. Self-cancelling indicators are common on almost all cars, though not so much on motorcycle. Experienced car drivers taking a CBT can often forget to cancel a signal due to this reason. Car drivers taking a CBT have an advantage due to having road experience however, what can also come is bad habits. As already mentioned, indicators can be an issue, as can riding too quickly and not allowing a safe following distance. All candidates should come to a CBT having read up on the Highway Code. It is expected that you’ll understand the rules of the road, traffic signals and road signs. Again, if the instructor suspects your knowledge of the Highway Code is not sufficient to be deemed safe during the on-road section, it’s likely that you’ll be unable to complete the course. CBT Element E is the culmination of all four previous elements. Don’t forget, CBT is training even during the on-road section. You’ll receive plenty of guidance over the radio and you’ll make the occasional stop before riding into a more challenging situation for an explanation on what you need to do. You’ll not be expected to demonstrate a very high standard of riding as you would in a module 2 test, but equally if you fail to improve after repeated prompting, or you do something unexpectedly and potentially dangerous, you may fail the CBT. There are many ways that you may not pass the CBT, at least on your first day, but those listed above are some of the main reasons why people don’t succeed. The chances are though, you’ll pass and to maximise success, preparation is key and above all if you’re not sure about something / anything on the day, ask your instructor and listen carefully to the instructions given.